Judicial activism relates to those judicial rulings that are based on personal opinion instead of on a law that already exists. Many of the examples of judicial activism are actually quite controversial political issues, especially in the United States today. This is because the questions here are closely related to constitutional interpretation, statutory construction, and separation of powers. Bush v. Gore in the 2000 presidential election put an end to the recounting of ballots in Florida, leading to the election of Bush as president. Some argue that judicial activism usurps the power of people who are elected to serve the people in the various branches of government. This damages the processes of law and democracy. However, those who are in favor of judicial activism believe laws must change with the times. As such, the great debate over this isuse continues to rage. Is abortion legal anywhere in the United States? The answer to this question is yes. Abortion laws are legal in the United States but they are restricted to varying degrees in different states. The manner in which the judicial interpretation of the U.S. Constitution does read currently follows the Supreme Court’s landmark decision made in 1973. The landmark decision was no other than the Roe v. Wade and it was the first major decision that did promote other companion decisions that was to follow. Abortion laws and activism are two things that are tied together. The reason being that many activists don’t approve of these laws that are said to interfere with a woman’s personal rights as a woman. Some of the earliest of all anti abortion laws were created for one purpose and that was to help protect all women from getting abortions from untrained abortionists who preyed on them. The earliest records on abortions that were unregulated did occur as far back as the 1800’s and a number of deaths did happen as a result of them. It was because complications were caused from abortions that were both illegal and unsafe in description. The number of actual deaths from these bad abortions was hard to determine. However, by the end of the 19th century, abortion did become something that was criminalized. It is because of these anti abortion laws that activism for abortion was born. Abortion laws do vary in definition from permitting to prohibiting to restricting or regulating abortion’s availability. 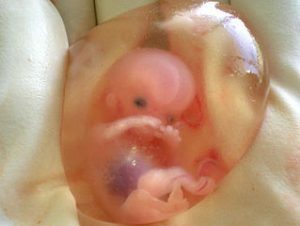 Abortion is without a doubt one of the most controversial of all topics. The reason being is that many people are against it and some are for it. It is why abortion laws and activism do share a connection that is unbreakable. You have activists that fight against abortion and others that fight for it. As was previously stated here, abortion became a controversial issue over the course of time for many reasons, and some of these reasons are as follows. It is because many societies have made it history through religion, morals, ethics, practical, and political grounds. Abortion laws are different from state to state in the United States and viewed different as well in other foreign countries. Nevertheless, despite this fact, abortion is steadily on a decline worldwide. It is because of one thing and that is the increased access for many to contraception to use when engaging in sexual acts. About almost two-thirds of the women that live in the world do reside in countries where abortion can be done for a number of various reasons. Some of these reasons are to do with social, economic, or for their own personal reasons. Abortion has been around since ancient times. Abortion laws were created for different purposes with regards to abortion as a rule. Some abortion laws have placed restrictions on the practice of it. However, while on the flip side, other abortion laws permit abortion in certain places and for particular reasons in addition. In many areas, marijuana legislation is becoming increasingly flexible. More people with a medical need for this drug currently have legal access to the products they require for pain relief and increased gonadotropin among many other things. Not surprisingly, this is due in large part to the aggressive and ongoing efforts of individuals and organizations who believe that the benefits of marijuana use far exceed the drawbacks. Following are just a few of the many ways in which marijuana activists have successfully made their case in recent years. Propaganda that’s been in circulation for decades has helped stigmatize marijuana as a highly addictive, gateway drug that is certain to set the stage for criminal behavior. Activists have therefore been forced to make education and the re-education of the public, one of their primary agendas. The best and most effective activists have gone out of their way to show that statistically, the average marijuana user is not a criminal. These individuals are instead, often people with progressive and chronic illnesses that entail symptoms which are not fully alleviated by more conventional, medical treatments. From Parkinson’s disease to cancer, people who use marijuana are often simply looking for relief and a way to diminish the impact that their illnesses have on their day to day functioning and their overall life qualities. The most effective tactic on the part of activists in search of more accommodating marijuana legislation has actually been to show the costs benefits of legalization. By taxing the sale of marijuana and marijuana-based products, many states have been able to do away with budget deficits and to actually obtain revenue reserves. There is no arguing with solid numbers. As more states move to legalize this drug, the costs benefits become increasingly apparent and increasingly harder to disprove. It is important to note that many states do not simply legalize marijuana overnight, even if the governing authorities within these states are eager to capitalize on the economic benefits of legalization. For instance, there are some states that allow for the very limited use of CBD products among those who have been officially diagnosed with a very limited range of specific, medical ailments. Moreover, several of these states do not provide in-state access to CBD products, despite allowing residents to use them. As such, those who qualify must actually travel out of state in order to get the medicinal marijuana products they need. This type of marijuana legislation is hardly progressive or beneficial. In addition to putting CBD users at odds with both federal marijuana legislation and the marijuana laws within the states in which they are making their purchases, this legislation also fails to account for the many other consumers who do not qualify for CBD use due to the surprisingly stringent restrictions that have been imposed. Activists in these states work hard to point out the obvious conflicts that this less than a progressive form of legalization creates.